We are already days into December! Can you believe it? By now your calendar is most certainly filling up with parties and Santa visits and family outings (I know mine is! ), and your grocery list is probably stacked with all sorts of ingredients for festive treats for get-togethers (ya, mine is busting at the seams. I don’t want any of my Christmas cookie recipes to feel left out! I do it for the cookies). 1. 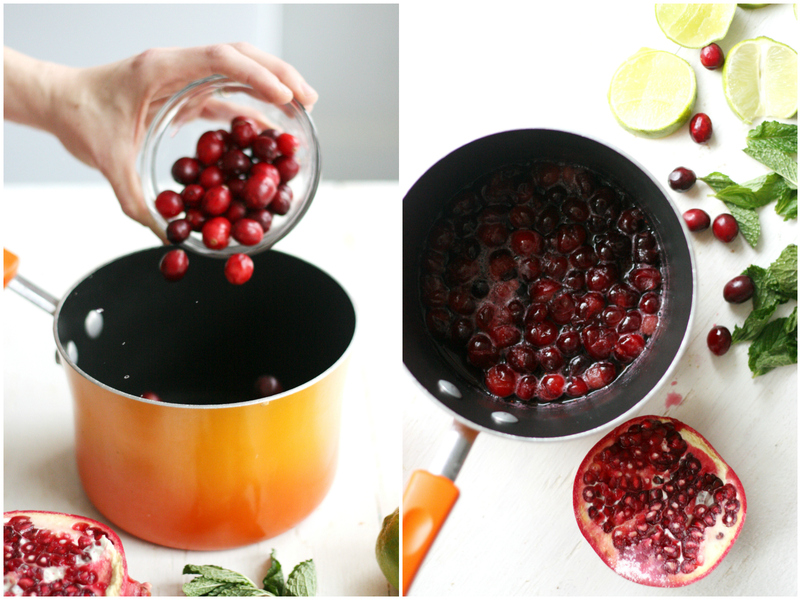 Add sugar, water and fresh cranberries to a small saucepan. Simmer over low heat for about 5 minutes until the cranberries start to open up and the sauce gets very thick. Set aside and allow to cool. 2. 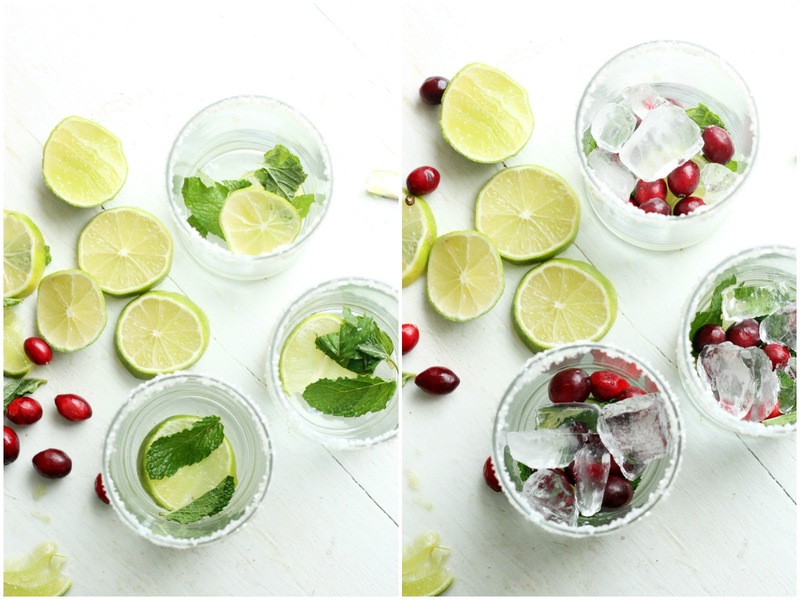 Meanwhile, add mint and lime to each glass. Muddle together to extract the flavor of the mint. Add ice. 3. 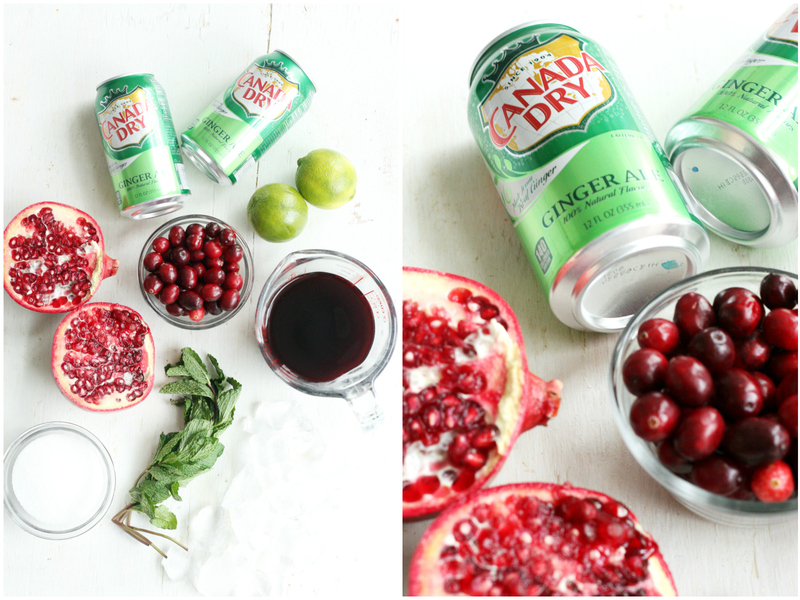 Add in Canada Dry®, pomegranate juice and cooled cranberry reduction to each glass. 4. 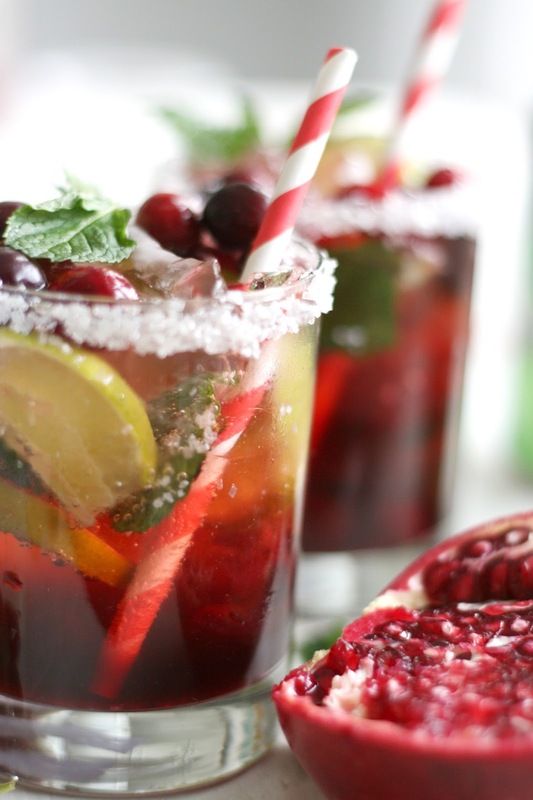 Top with more mint, lime, and cranberries as garnish. Serve immediately. Recipe adapted from Chef Savvy. Tip: Dip your rims in water and then sugar sprinkles well before you are going to serve them so that the sugar has time to dry to the glass. This will help it stay put longer. 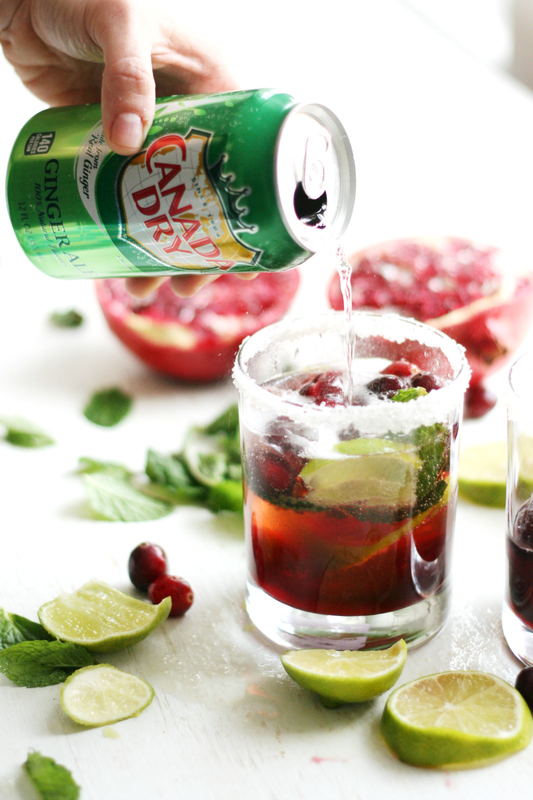 Isn’t this mocktail gorgeous? And it is beyond delicious! 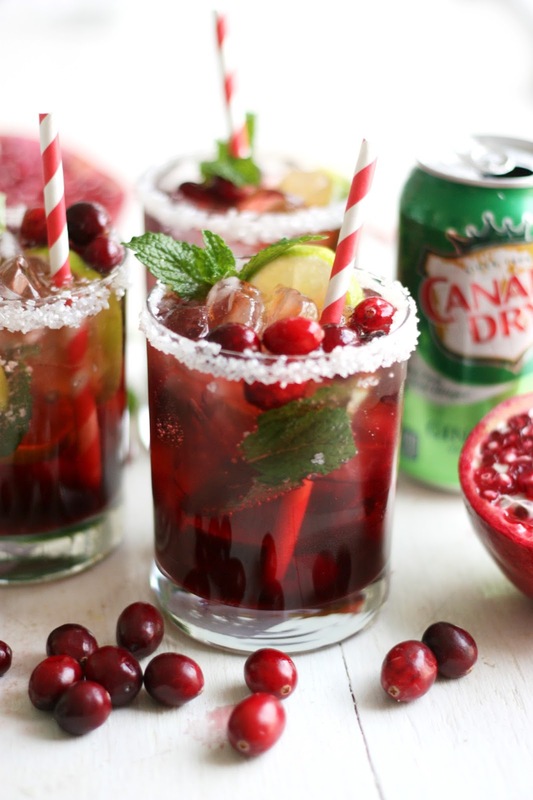 The colors are so perfect for a festive holiday gathering, and the flavors are out of this world! 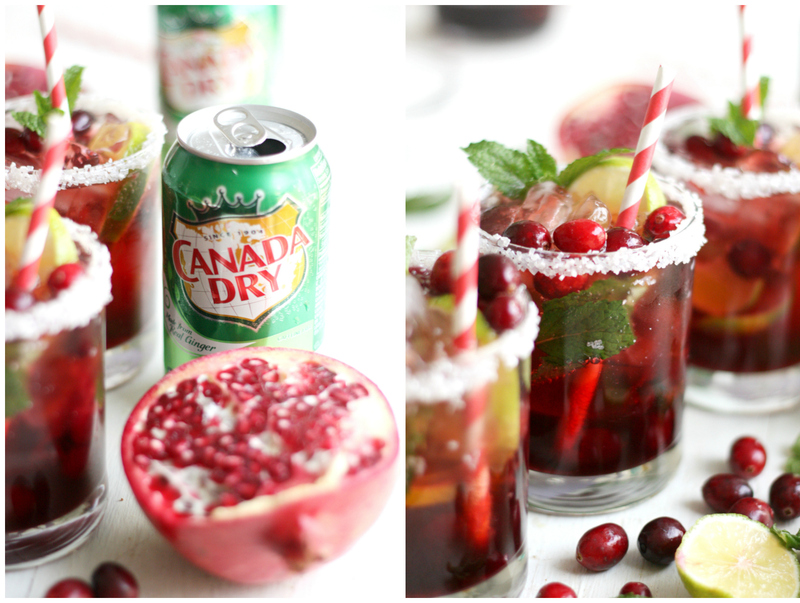 Want more recipe inspiration with your favorite drinks? Find more ideas from these perfect holiday moments! These drinks look fabulous! I'll have to try these really soon!